Many of Africa’s primates live in remote and little visited parts of the wilderness. 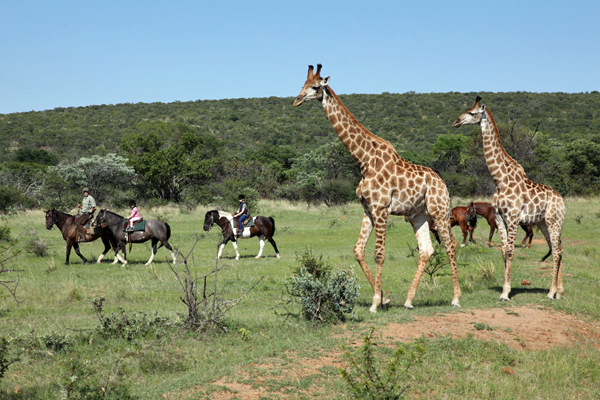 Thanks to conservation and habituation programmes there are several species that can be visited as part of a safari holiday. Just because these animals choose out of the way places to live, it doesn’t mean that the visitor has to slum-it in order to see them. 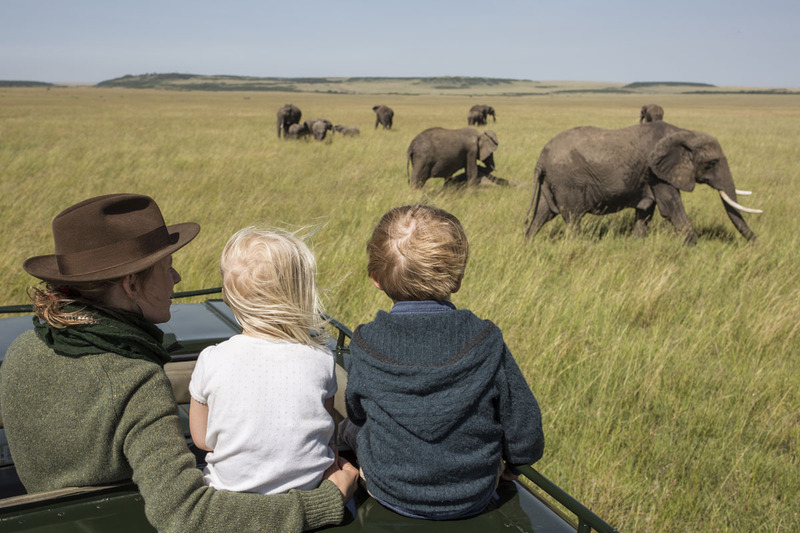 There are, in fact, some wonderfully comfortable – luxurious even – lodges offering ready access to unforgettable wildlife encounters. Rwanda’s Parc National des Volcans is home to around half the world’s 700 remaining mountain gorillas. It’s a stunning park where the lush tropical rainforest supports a range mammals, birds and reptiles alongside the mountain gorillas. 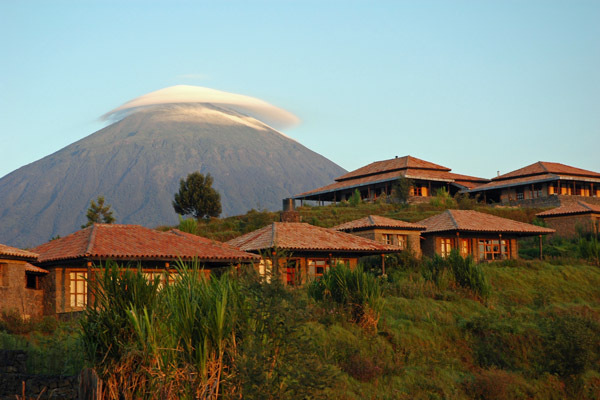 Among the stand out accommodation options here are Virunga Lodge and Sabyinyo Silverback Lodge. Virunga probably tops it in terms of location – sitting astride a ridge, the views are phenomenal, while Sabyinyo is a closer to the park so a little less of a journey to get to the start of a gorilla track. 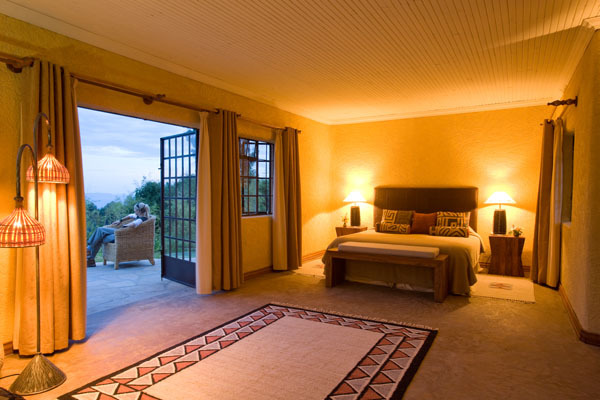 What both offer are cozy rooms (it gets quite chilly up here), en-suite bathrooms, and sheltered private verandahs. Comfortably furnished bar and dining areas create a convivial atmosphere for guests to exchange stories about their tracking experiences. Rejuvenating massages can be organised at both – a great way to wind-down after the exhilaration of tracking. 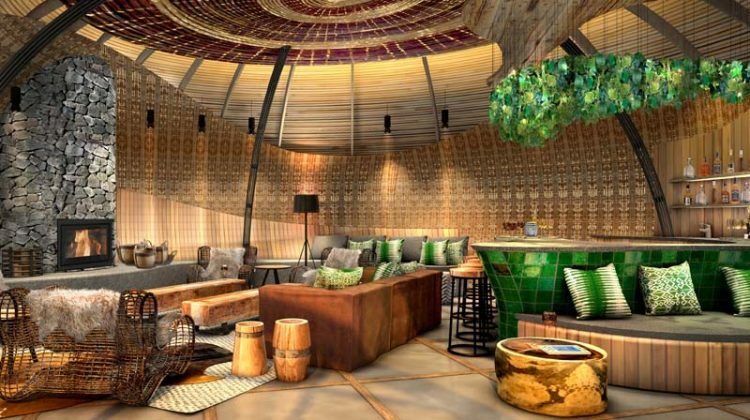 Set to open in June 2017 is Wilderness Safaris’ Bisate Lodge. 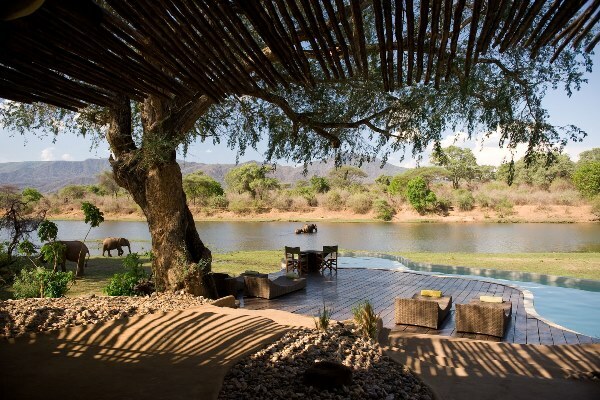 With a reputation for luxury lodges throughout Southern Africa, it is likely to provide an exclusive retreat amid the dramatic mountain scenery. Uganda, too, provides opportunities to track the mountain gorillas in Bwindi Impenetrable Forest. This ancient landscape is fabulously diverse and home to an extraordinary variety of species. Clouds Mountain Gorilla Lodge is a super place offering plenty of mod-cons including WiFi for those who want to stay in touch, a little spa and personal butler service. 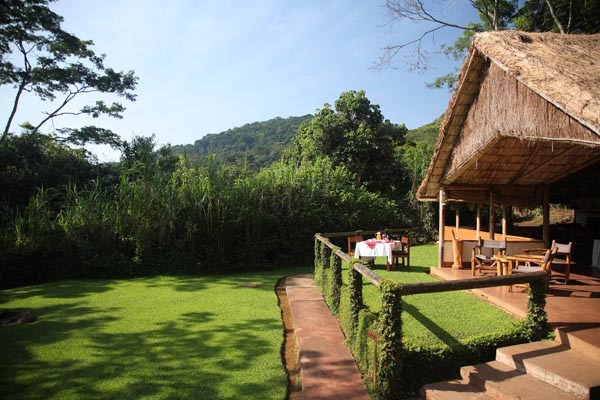 Gorilla Forest Camp is the other top end choice here. 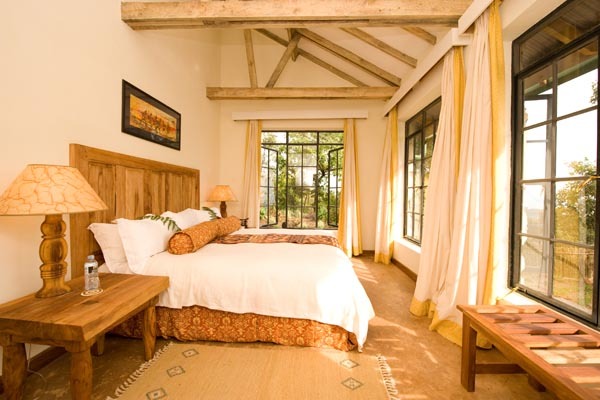 Tucked high in the forest – and frequently visited by the gorillas – it’s an atmospheric rainforest retreat. 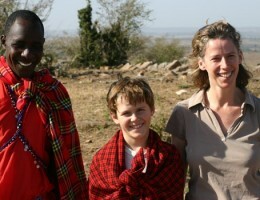 Rustic luxury is order of the day here with traditional safari tents, huge bath included, set under thatched roofs. The welcoming bar and lounge is great for a pre-dinner cocktail. Africa’s chimpanzee population also favours a pretty off the beaten track location. One such spot, the Mahale Mountains in the far west of Tanzania, is where you’ll find where Nomad Safaris’ Greystoke Mahale. Lying in splendid isolation this iconic, shaggy lakeside lodge sits at the foot of a dramatic mountain range. Accessed via a light aircraft flight and then a dhow boat ride, it’s about as remote as you can get. Amazingly, the camp can still provide hot and cold running water, properly strong showers and flush loos. 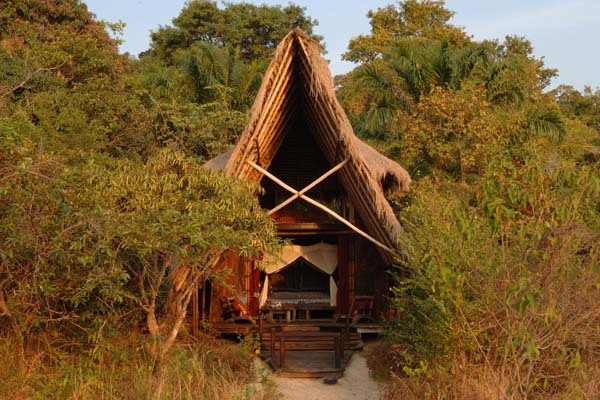 Thatched bandas come with dressing rooms and an upstairs chill-out deck, and the main mess banda is the place to enjoy a sundowner and excellent food. For somewhere that seems to perch on the edge of the world it’s an astonishingly well-appointed camp. Of Madagascar’s extraordinary endemic species, lemurs are undoubtedly among the most charming. While this island is an intoxicating mix of magical animals and other worldly scenery, top end accommodation is still scarce. 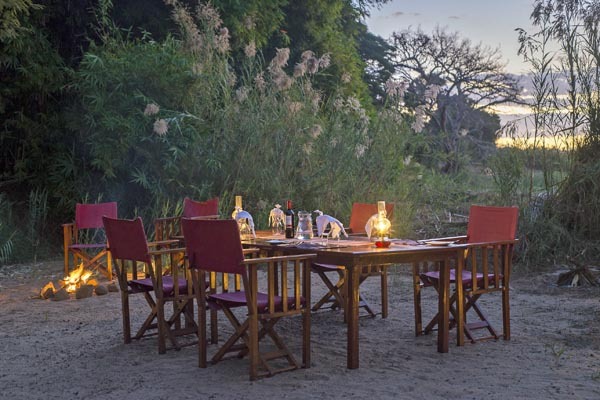 Among the hidden gems is Mandrare River Camp, run by Edward Tucker-Brown who has aimed to mimic the quality of hosting in other parts of Africa. 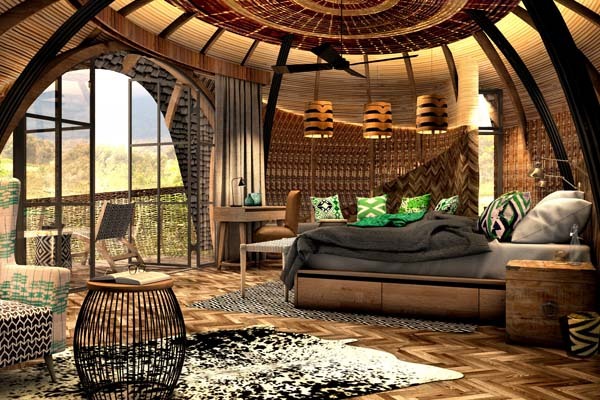 Bespoke, en-suite safari tents all designed for a peaceful, relaxed stay provide a perfect base from which to explore the local wildlife among which are five species of lemur. Any questions on seeing primates?